FANS of Warwickshire County Cricket Club have launched an online campaign and threatened to boycott matches following the decision to re-name the team for next year’s domestic Twenty20 competition. Yesterday chief executive Colin Povey revealed that the club will drop their county name for the NatWest T20 Blast tournament, and will be known instead as the Birmingham Bears. But within hours of the announcement, an online petition had been set up by fans claiming Edgbaston bosses have “sold out”. The campaign was started by 32-year-old catering manager Adam Veysey from Shrewsbury, who says he is “deeply offended and disgusted” by the decision. He said: “As members we were not consulted in any way on the name change of our cricket club. I come from outside of Birmingham to watch my county cricket club play, outside of Warwickshire in fact, and I don’t feel it’s right that I and other members outside of Birmingham should pay to watch their team play under a different name. I also have friends and fellow members that live in Birmingham and they feel exactly the same. “As a club they should be contacting fans’ organizations and members about changes such as these. In general myself and fellow members feel that our county cricket club has sold out, and I’m doing this so other counties don’t go the same way, and hopefully we can get this changed. “Warwickshire have try to justify that they think it will bring in a younger crowd, but how? I take my five-year-old son, who lets face it is the future of cricket and he should be able to watch the history of our great county at Edgbaston and become the future of county cricket. By 9am today the petition had attracted more than 200 signatures, with 168 people joining a group on Facebook. Defending the decision, Colin Povey said: “Birmingham and Edgbaston has been the club’s home since 1886 and we believe that adopting the Birmingham Bears name for the NatWest t20 Blast presents a great opportunity for us to engage even more closely with fans living and working at the heart of the city. “Asian families, business men and women working in the city’s commercial districts and local cricket clubs are three particular audiences the club is seeking to work with more next season. Next year’s domestic Twenty20 competition will have a new title. 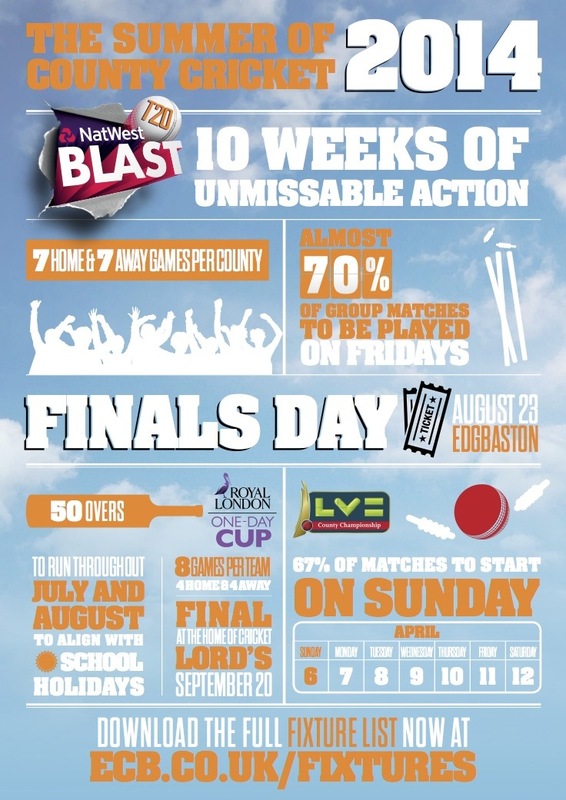 The counties will line up for the start of the NatWest T20 Blast, re-branded to “attract a wider audience” who will “combine a weekend night out with watching cricket”, according to ECB chief executive David Collier. Fair enough, I suppose. T20 was invented ten years ago as a way to liven up the English game, to inject some razzmatazz into what was seen by many as a slow, dull and stilted sport. At first it seemed to work – shorter matches, more sixes and extraneous entertainment put bums on seats, and the T20 model exploded worldwide. In hindsight it may be seen as the most revolutionary idea of the sport’s modern age. But the authorities clearly feel the original format needs an overhaul. Next year every team will play 14 qualifying matches, up from ten previously. They will mostly be played on Friday evenings, to fit in with the “night out at the cricket” theory. So rather than a short, sharp competition slotted in between the longer formats, T20 will be integrated as part of the regular season. The intentions behind all this seem sound – cricket is entertainment, and the more people enjoy it the better, financially and otherwise. The problem is, the ECB don’t seem to know their target market. Are they, as Collier suggests, aiming T20 at adults looking for a Friday night out? Or do they, as the poor embattled soul who controls the ECB’s Twitter feed said, see it as “a great way for families to spend time together”? The ‘Blast’ re-brand smacks of just another pointless fiddle, a blue-sky boardroom brainwave that will only confuse fans. I am loathe to make a comparison to the horrid game of association football, but there is a lesson there. Ask a regular football fan – what is the name of the main domestic cup competition? After discarding his Millwall scarf and smashing a pint glass in your face, he will look at you like you have just arrived from Mars and say “the FA Cup”. As long as that competition exists it will always be the FA Cup, no matter who sponsors it or how many suited dignitaries line up at Wembley for a photo op with the winning team. The Gillette Cup became the NatWest Trophy, which became the C&G Trophy. For one year it was known as the ECB Trophy due to lack of a sponsor. Then it became the Friends Provident Trophy. Then it died. The John Player Special League became the Refuge Assurance Cup (I had to look that one up). Then it was the Sunday League, then the Axa Equity and Law League, then the National League, and finally the Pro40 Cricket League. At the end of last season it too was put to sleep, to be replaced by a new 50 over tournament called the Royal London One Day Cup. Still with me? The CB40 became the YB40. The good old Benson and Hedges cup retained its smokey sponsor right through from 1979 to the moment it spluttered its last cough in 1992. And domestic T20 action was propped up by Friends Provident, then Friends Life. Which may or may not be the same thing. My point, if you’re still awake at the back, is that too much faffing makes people lose interest. Cricket fans – real fans, who will invest in the game’s grass roots and whose children will be the real fans of the future – don’t care about all this. Sure, the coloured clothes are nice and the odd bit of music as the stumps fly out of the ground can be quite exciting. But what will keep these people coming back is not whether the billboards outside the ground say ‘Blast’, ‘Boom’, ‘Big Bash’ or ‘David Collier’s Big Bad Cricketing Extravaganza Sponsored by Pot Noodle’. (Actually that sounds quite good). What will keep the turnstiles turning and the cash registers chiming is good quality cricket. Money should be used to invest in clubs, infrastructure and young players. Writing back in April, The Telegraph’s Scyld Berry put this all better than I ever could. Oh, and in next season’s T20 whatever-it-is, Warwickshire are no more. 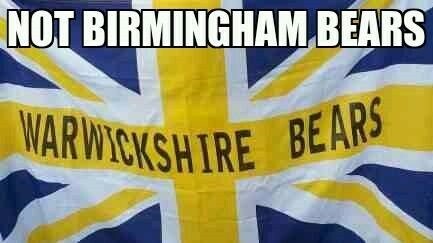 Instead they will be known as the Birmingham Bears. I was planning to make that the subject of this rant. But I suppose it can keep for another day. For a flavour of what fans have made of the announcement, type #BirminghamBears into Twitter. They are not happy.